Gang Green announced Bowles' departure shortly after the Jets loss to the division rival Patriots in Foxborough, bringing their dismal season to a 4-12 end. "After carefully evaluating the situation, I have concluded that this is the right direction for the organization to take," Jets CEO Christopher Johnson said in a statement. The team hasn't publicly discussed a potential replacement, but Pro Football talk reported about a week ago the team would pursue Michigan coach and former 49ers head coach Jim Harbaugh. At the time, the Jets issued a statement from Johnson denying it. Bowles was 24-40 during his run with the Jets, a .375 winning percentage that is better than just one coach in franchise history with at least 30 games in charge: Rich Kotite (.125). And, as anyone familiar with the team knows, that's one name you'd prefer to not be associated with. The Kotite years, when New York went 4-28 during the 1995-96 seasons, are synonymous with losing. It's not nearly as bad with Bowles. But there hasn't been much winning, either. The Jets got off to a promising start under Bowles, who guided New York to a 10-6 record in 2015 but fell a win shy of the playoffs in his first season — losing a win-and-in game against Buffalo in the regular-season finale. Many expected the Jets to take the next step under the coach, who was considered a terrific defensive mind in stops in Miami, Philadelphia and Arizona. Consecutive 5-11 seasons followed, and, after Sunday's loss to the Patriots, this one was even worse. Many had expected Bowles to be dismissed mid-season, but in some respects, that would have been an even bigger surprise. Parting ways with a head coach in the middle of the season is rare for the franchise, and has never happened since Woody Johnson purchased the team in 2000. The last in-season coaching change for the Jets came in 1976, when Lou Holtz resigned with one game remaining. The last coach to be fired was Charley Winner in 1975, when he was replaced by Ken Shipp for the final five games. 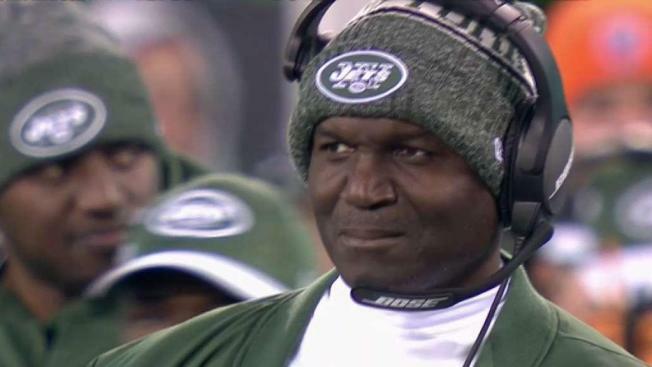 Bowles was the second NFL head coach to be fired Sunday night and the fourth this season.